Sorry, you can only order up to 16 units of this product! Is moss thriving on your lawn? 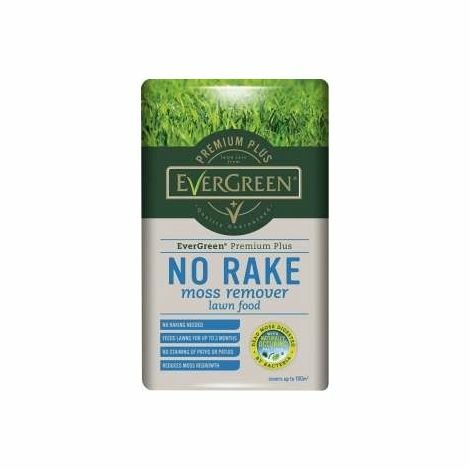 If so, you need EverGreen® No Rake Moss Remover Lawn Food. This product has been specially formulated to have an indirect action against moss. The naturally occuring bacteria "eats" the dead moss - so you will not need to rake it out. It also contains a slow release lawn fertiliser that feeds your lawn for up to 3 months and helps prevent moss from redeveloping. yes. everything was spot on and would use ManoMano again. Happy with the seller and with delivery. Although packaged well 2 of paint containers leaking. Rey please with service received. Very happy with the seller and great communication for informing where and when our delivery would be made. Extremely happy with the seller product is exactly what I wanted. Small part missing but immediately put right by manufacturer.